It looks like we are staying today. The sun has come out but the winds are pretty fierce and we wouldn’t even be able to get off the dock without causing all sorts of havoc, so we will stay today. Our weather is not as bad as Jim and Sharon’s – our friends who are in Gaspé. 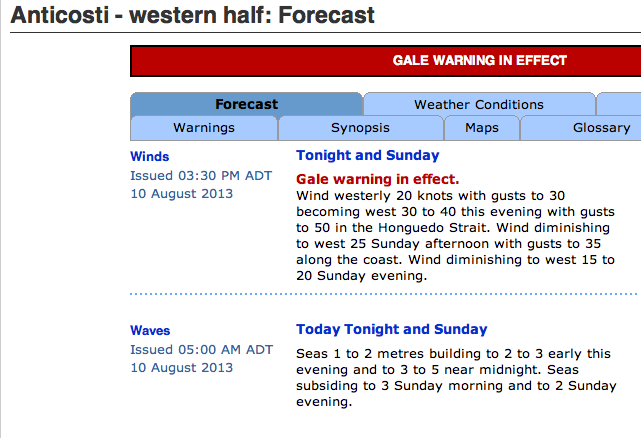 Here is their marine forecast – yikes! There were many different vendors and you can get all sorts of fresh produce, eggs, bread, etc. as well as having a good variety of craft people too. The market is open every Saturday for the entire year. 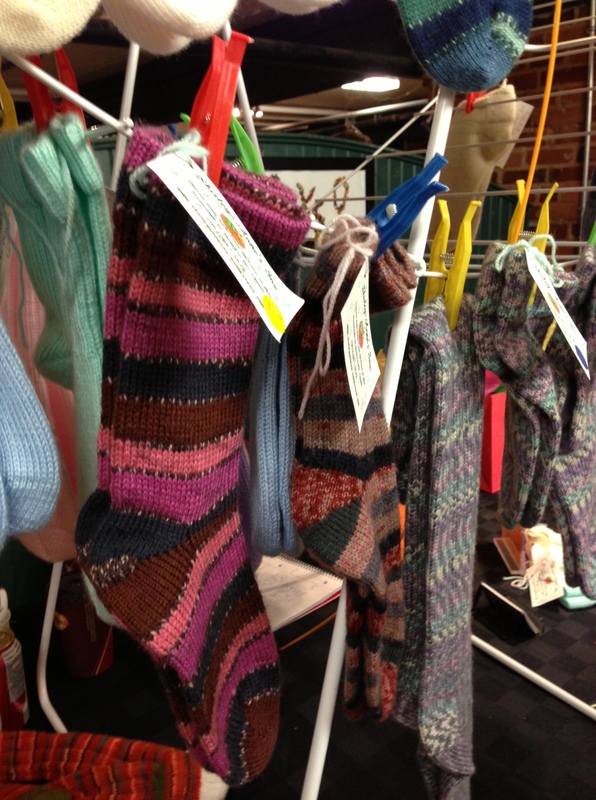 Here is a video of one of the vendors – she made socks from a machine that was built for the ladies to makes socks for the First World War soldiers. Well, not much else is new – I am somewhat hopeful that tomorrow’s post will be from Wood Islands and I’ll be able to get an update on the ospreys – last week, the parents were teaching the little ones how to hunt, so maybe they’ll be onto a new skill!